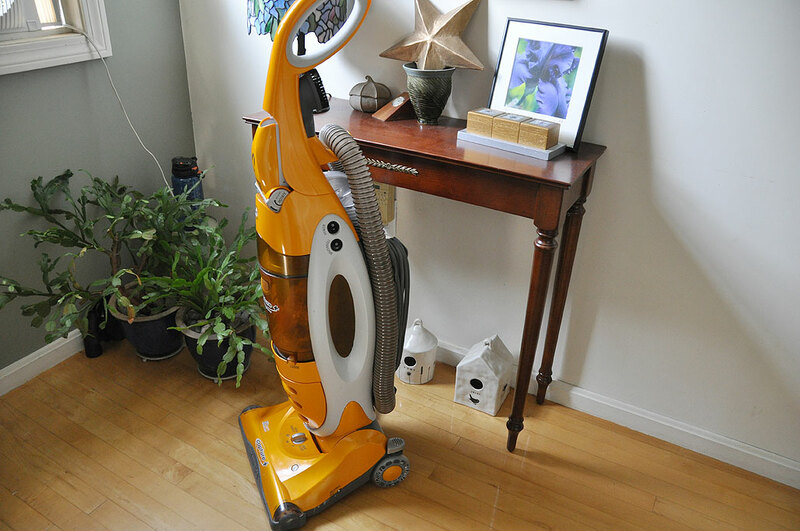 The Eureka Capture+ vacuum cleaner served us flawlessly for almost three years. The vacuum cleaner is excellent on furniture, rugs, and bare floor. We use it weekly to clean up after our interns. The other day, a groaning noise started emanating from the front sweeper/roller. Since no smoke was coming from the unit, we kept using it. However, the noise got louder and louder. Something was clearly straining to do something. We switched off the unit, unplugged it from the wall, and gave it a once over. Nothing seemed to be the matter visually. So, we plugged it back in, turned it on, and heard a loud snap. OK…now we did it. Fortunately, replacing a belt in our Eureka Capture+ vacuum cleaner was a very simple process. We removed the four retaining screws from the bottom of the unit and lifted off the cover. With the top off, we had full access to the front sweeper/roller assembly. To replace the belt, just lift out the sweeper/roller assembly, slide the new belt on the roller, loop the other end of the belt onto the drive gear, and place the end of the assembly back into the slots on the sides. With the new belt in place, replace the top and give it a test run. If the vacuum or the roll is not working, press the reset button on the side. 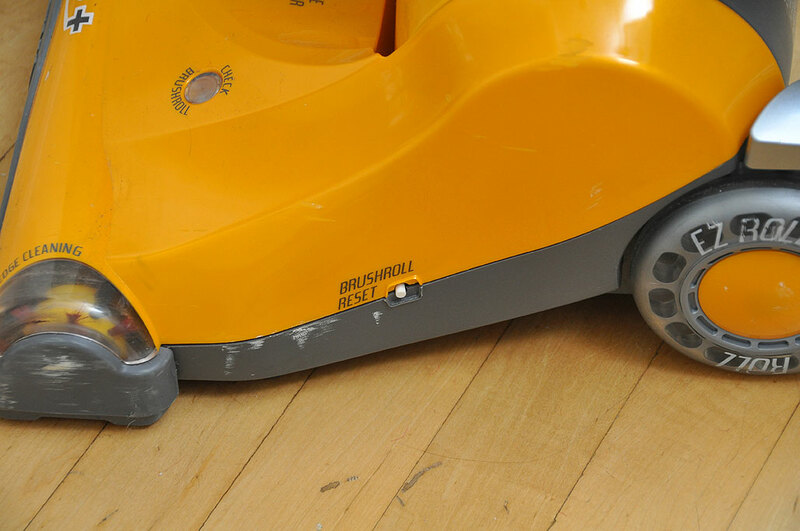 Vacuum cleaners have a motor-burnout prevention circuit in place to prevent damage should the sweeper get entangled with a string or something. Once tripped, it needs to be reset before the brush will turn on again. Belts are rubber and will stretch and wear out. The belt turns the brushroll at thousands of revolutions per minute. The tighter or newer the belt, the better the vacuum will perform. So, it is important to check the belt periodically for any signs of wear that can result from normal use over time. We just wait until it breaks. Those who like their vacuum cleaner to work at peak capacity should plan to change the belt every six months. Replacement belts are inexpensive ($3-$5/pr) and easy to find online. We received excellent service and fast shipping from VacBelts.com, TotalVac.com, and Filtrete. The first two sites have pretty much everything needed to get whatever vacuum cleaner you have back up and running. In the event that your vacuum cleaner is no longer serviceable, they also have great prices on brand new unit. So if your vacuum cleaner stopped working, take a look to see if it is the belt…before you take it out to the trash!